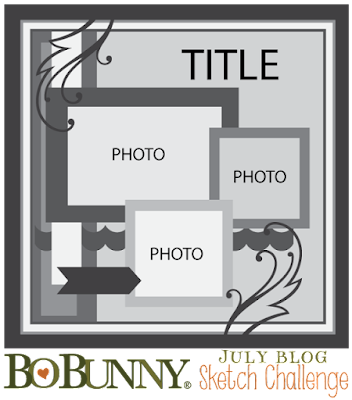 Drea here with a layout that I scrapped using the gorgeous Bo Bunny Secret Garden Collection from FotoBella! 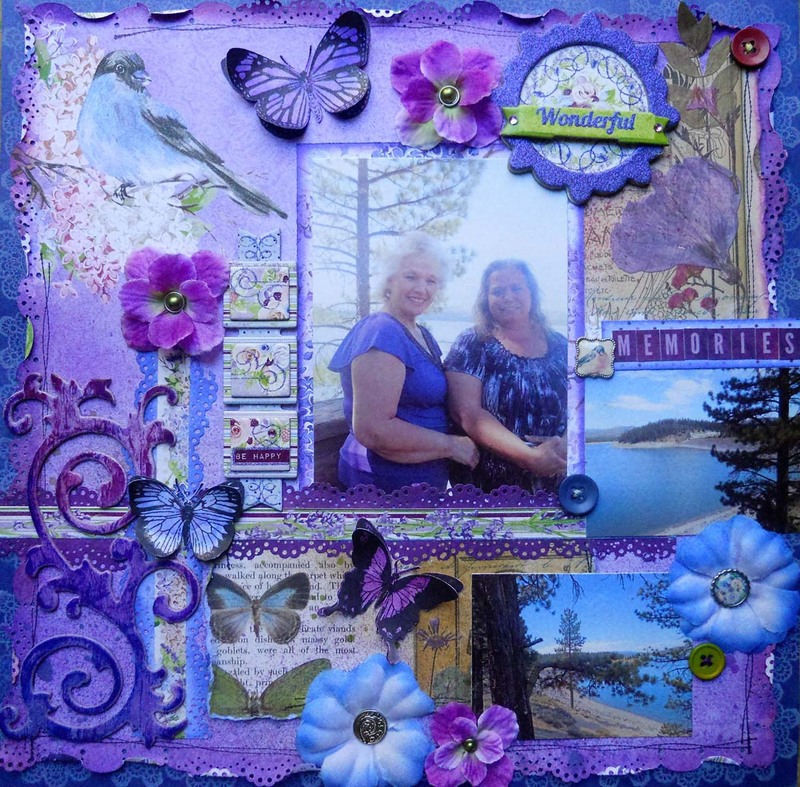 I love this photo of my aunts, and the colors, papers, and embellies really tie the whole page together! 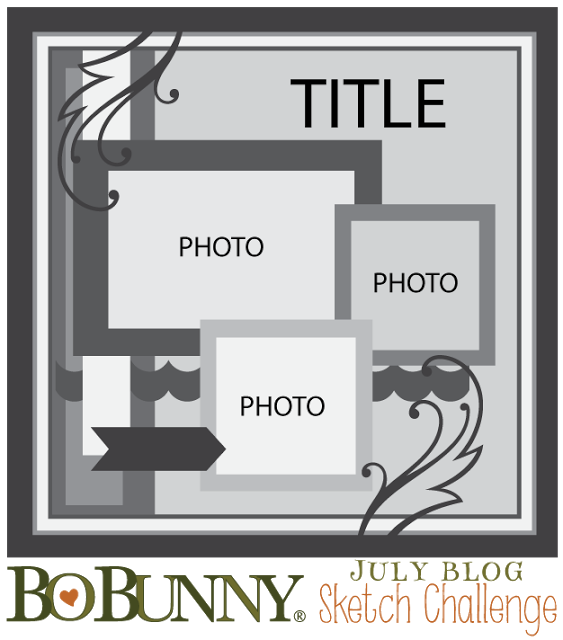 My design inspiration came from the July Bo Bunny Sketch. 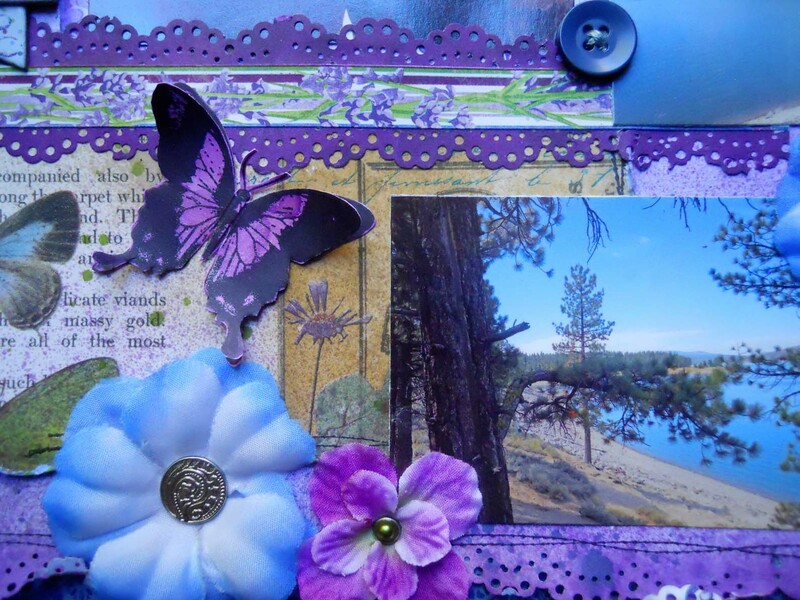 I started by stamping a border with two different doily stamps from the Bo Bunny Stitches Stamp, using Picket Fence Distress Ink onto blue cardstock. 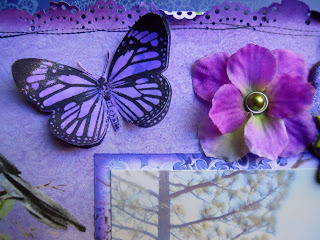 Then I punched around the edges of the back of the "Greenhouse" paper, and spritzed on some purple and blue sprays. 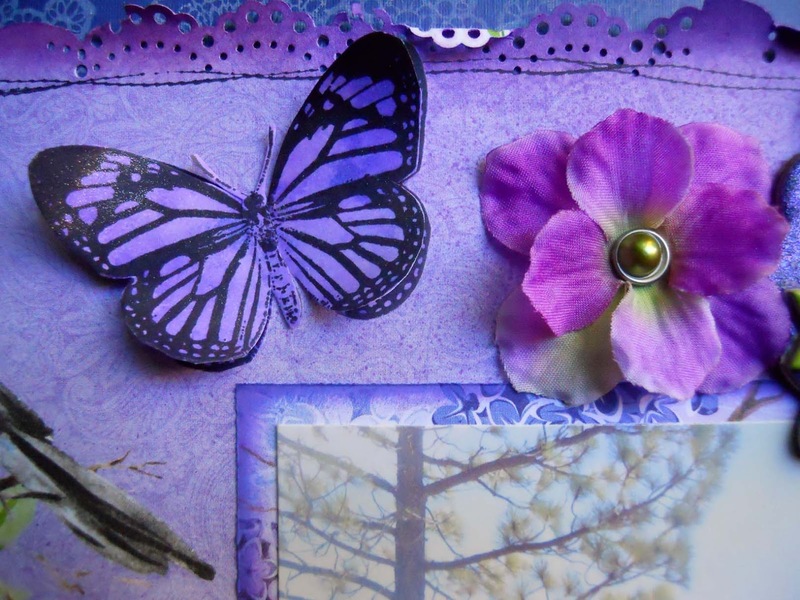 I also used the Stitches stamp to stamp stitching around the paper edges, including the butterfly and floral paper that I got from the Ephemera. 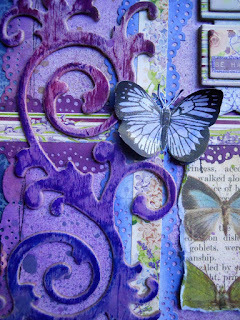 All of the butterflies were layered and stamped using the Bo Bunny Flutter Stamp onto white cardstock colored with Distress Inks (Blueprint Sketch, Wilted Violet, and Seedless Preserves). For the titlework I used the sparkly Layered Chipboard "Wonderful" embellishment, and spelled "MEMORIES" with the alpha stickers that come in the 12 X 12 Paper Collection Pack. I also used the Be Happy banner from the Layered Chipboard along the left side of my main photo. 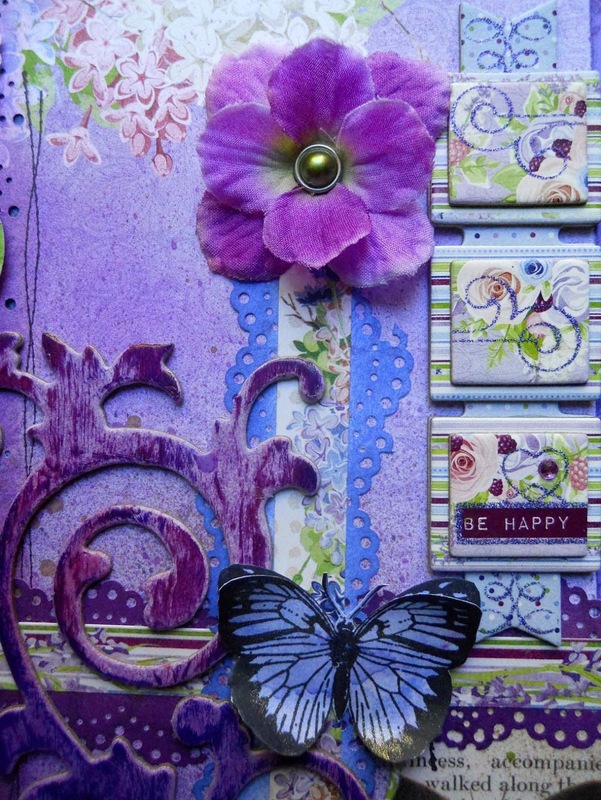 The floral strips are stickers that also come from the paper pack, and I placed them onto punched paper. 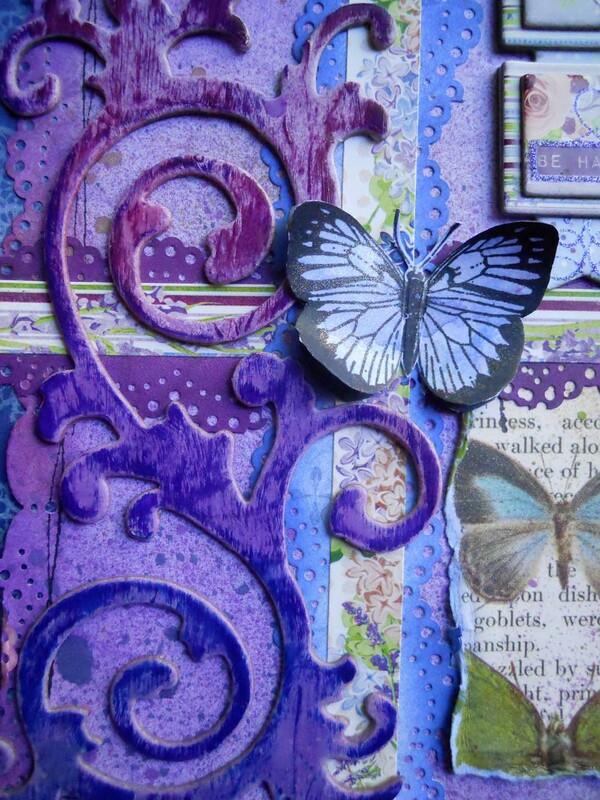 From the Chipboard, I used the light purple flourish and covered it with a coat of Tim Holtz Distress Collage Medium Crazing. 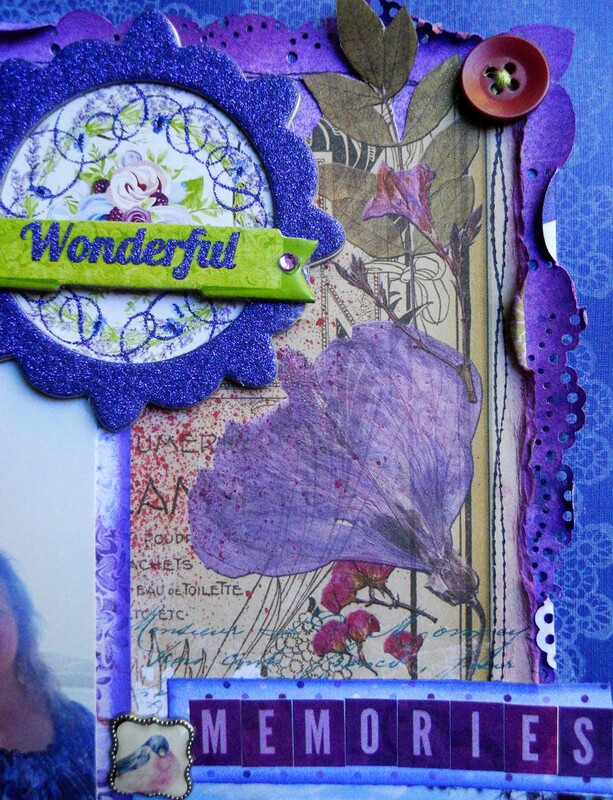 After it dried, I colored it with 3 different permanent inks to highlight the crackles. 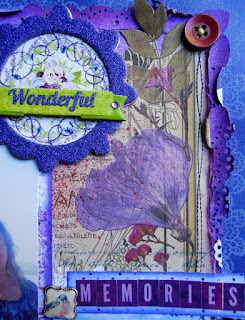 I used flowers from my own stash that I've had for awhile now, and added Brads to the centers. Even though I didn't use "real" stitching on this page, I did stitch the Buttons.